Recent studies indicate new considerations for prostate brachytherapy. Because prostate cancer and its treatment options involve the most intimate of male-related issues—erectile and urinary function—they generate a great deal of investigative scrutiny. From the physician's point of view, a prescribed treatment can be life changing, with both benefits and drawbacks for the male subject. More importantly, treatment can be lifesaving. Treatment approaches, however, continue to raise questions, especially for physicians. Consider just one treatment innovation: brachytherapy. When is its application most appropriate? And why? Who is best served, younger or older patients? What about dose rate? At what measureable point does dose rate prove most effective or considerably debilitating, ie, toxic? Meanwhile, clinical researchers analyze treatments and technology developers create new innovations. Those types of efforts have raised another interesting question: Would the combining of treatment approaches result in an even more powerfully positive impact? Recent research addresses some of the above questions and has added to the existing body of knowledge. One of the most recent studies is also one of the most compelling. The Androgen Suppression Combined With Elective Nodal and Dose Escalated Radiation Therapy (ASCENDE-RT) trial is a historic study. It represents a first-ever comparison between usage of low dose rate prostate brachytherapy (LDR-PB) and traditional usage of dose-escalated external beam radiation therapy (DE-EBRT). Specifically, the researchers applied the comparison in the treatment of intermediate- and high-risk patients. The results validate a new treatment concept: Both patient sets can be better served from additional application of a more-specific brachytherapy approach. Benefits could be substantial and include a longer-term, biochemical progression-free survival. For prostate cancer patients, that translates into less emotional stress related to erectile issues. In the past, patients demonstrating an intermediate or high risk for prostate cancer were often guided toward radical prostatectomy. This surgical procedure, while effective, resulted in substantial impairment of urinary continence and erectile function. This led to consideration and/or application of regimens that involved active monitoring, hormonal treatment, or hormonal manipulation. Eventually, brachytherapy entered into this evolving treatment territory. This much more attractive option involved the implantation of comparatively miniscule radioactive "seeds" directly into the prostate. This approach would soon be deemed an effective treatment with minimal side effects, particularly for low-risk prostate cancer patients. In the meantime, intensity-modulated radiation therapy (IMRT) began to loom large. Indeed, its application—combined with specific dose-application considerations—may eventually supplant brachytherapy, at least in some cases. Circa the late 1990s and early 2000s, this resulted in a reconsideration of offering brachytherapy. David Beyer, MD, FASTRO, medical director of the Cancer Centers of Northern Arizona in Sedona and immediate past chair of the ASTRO board of directors, says, "We were very excited about the promise of IMRT. What made it so attractive was that it allowed for dose escalation. Oncologists and urologists—I include myself—thought that dose escalation with IMRT alone was good enough." Data made available via ASCENDE-RT led to another reconsideration. "The data show that the decision to do less brachytherapy and more IMRT was wrong," Beyer says. While he indicates that the data could be practice changing, Beyer concedes a caveat. "There are still some patients for whom brachytherapy is not reasonable or possible," he says. Issues that need to be considered include whether the prostate has become enlarged to an alarming degree—along with any other indicated anatomical appearances that could be deemed unusual—as well as a significant urinary symptom existing upon the baseline and causing the sufferer psychological and emotional, not to mention physical, discomfort. But, for most men, Beyer continues, the discussion between physician and patient about therapy choice needs to include consideration of a brachytherapy boost for all high-risk patients. Such observations, when considered within context of brachytherapy's evidential efficacy, could invite even more questions. Could the treatment be applicable to a larger patient population, rather than confined to patients with a low risk profile? How would dose rate impact treatment? Can different treatment approaches be effectively combined, so as not to dilute—or even distort—the purpose of the originally conceived treatments? Again placing the trial in historical context, ASCENDE-RT was the first-ever completely randomized, controlled trial to compare usage of a DE-EBRT with a LDR-PB boost when combined with external beam radiotherapy directed toward intermediate- and high-risk prostate cancer patients. The trial results were published in June 2017 in the International Journal of Radiation Oncology, Biology, Physics. The study covered a period running from six to nine years, a substantial amount of time—enough to provide the effort with data-driven credibility in a proposed analysis directed at intermediate- and high-risk subjects. • Group 2: 198 patients were treated for 12 months with continuous androgen deprivation therapy followed by four to five weeks of DE-EBRT and then LDR-PB, which was administered 14 to 25 days after the last external beam treatment. Results revealed a significant improvement in biochemical progression-free survival of about 20% at nine years in favor of the LDR-PB arm. According to study coauthor Sree Rodda, MBBS, MRCP, FRCR, consultant clinical oncologist at Leeds Teaching Hospitals NHS Trust in West Yorkshire, United Kingdom, men randomized to the DE-EBRT arm were twice as likely to relapse compared with the LDR-PB arm. Rodda adds that the study highlights the significant differences in the nadir PSA values. In unrelapsed patients with a minimum of four years of follow-up, 54% of patients had undetectable PSA levels in the LDR-PB arm, compared with just 8% in the DE-EBRT subjects. Median PSA levels were 0.01 ng/mL and 0.25 ng/mL, respectively. The incidence of acute and late genitourinary morbidity was higher after the LDR-PB boost, and there wasn't a significant enough trend that could point to a worsening of gastrointestinal morbidity. Also, the data didn't indicate any difference in the frequency of erectile dysfunction. Rodda describes the key findings: "LDR-PB boost halved the rate of biochemical relapse. Incidence and prevalence of late genitourinary toxicity was significantly higher in the LDR-PB group. About 50% of the genitourinary toxicities are due to urethral strictures." Decreasing the brachytherapy boost dose, better imaging, and exercising caution in regard to dose at the membranous urethra indicates a potential decrease in the risk of urethral strictures, she says. "This is a subject for future randomized trials to evaluate," Rodda adds. "A complete analysis also needs to include any gastrointestinal morbidity." Furthermore, any evident patient comorbidity should be considered when a treatment regimen is developed. A recent study supports the ASCENDE-RT trial results. The international multi-institutional comparative analysis—descriptors that apply equally to ASCENDE-RT—was included in the European Urology Journal in May 2017. Investigative researchers combed through an enormous data set that included more than 25,000 subjects throughout the world. Within this global perspective, the study authors considered and compared EBRT, EBRT plus brachytherapy, and radical prostatectomy outcomes. With the data, the researchers were able to conclude that five- and 10-year distant metastasis-free survival rates were significantly higher with EBRT plus brachytherapy (94.6% and 89.8%) than with EBRT (78.7% and 66.7%, p=0.0005) or radical prostatectomy (79.1% and 61.5%, p<0.0001). 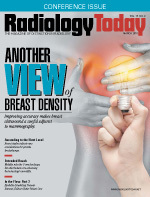 It became strongly evident that even among the highest-risk patients, the brachytherapy boosting resulted in a treatment regimen that proved most effective. Along with the aforementioned trials, another important study added to the body of knowledge. That study, NRG Oncology/RTOG 0232, was a phase 3 study that compared combined EBRT and transperineal interstitial permanent brachytherapy with brachytherapy alone. Selected patients included those with intermediate-risk prostatic carcinoma identification. The study's results were presented at ASTRO's annual meeting in 2016. According to the authors, the multi-institutional trial was conducted at 68 cancer centers throughout the United States and Canada from 2003–2012. The researchers' purpose was to assess whether adding EBRT to transperineal interstitial permanent brachytherapy provided additional benefit in progression-free survival—control of the cancer growth—at five years following treatment. The researchers found that, for intermediate-risk prostate cancer patients, radiation treatment with brachytherapy alone can result in similar cancer control with fewer long-term side effects when compared with more aggressive treatment that combines brachytherapy with external beam therapy. Participants included nearly 600 men diagnosed with intermediate-risk prostate cancer. Patients were randomized to one of two treatment arms; 292 patients received brachytherapy alone, and 287 patients received 45 Gy of partial EBRT to the pelvic area in addition to brachytherapy. At five years following radiation therapy, survival rates for men who received brachytherapy alone were comparable to those who underwent more aggressive radiation treatment. The progression-free survival rate at five years posttreatment was 85% for EBRT plus brachytherapy patients and 86% for brachytherapy patients (hazard ratio, 1.02; futility, p=0.0006), according to ASTRO. As indicated by the researchers, the ASCENDE-RT study offers physicians an opportunity to change clinical practice in applicable cases. Changes could include an expansion of treatment options for both intermediate- and high-risk prostate cancer patients. With new information now available, the physician-patient consultation about prostate cancer takes on even greater importance. As there are more treatment options to consider, physicians are making patients aware of them. "Generally, it's becoming clear that the more fully informed patients often would be more likely to choose brachytherapy," Beyer observes. "It's clear that more specific, shared decision-making discussion points should be addressed in all conversations. Decisions made should be decisions shared." Beyer describes how this relates to his practice: "I had discussions with patients wherein I was only thinking specifically about hormonal therapy and external beam therapy. The ASCENDE trial caused me to think, 'If I went back to those patients, would the conversation now include more information about brachytherapy?' For one thing, the trial showed that dose-escalated EBRT alone is not as good EBRT plus brachytherapy for both high-risk and intermediate-risk patients. The difference and benefit from combined modality therapy is significant." However, there is a second consideration. The combined treatment produces more side effects. Typically, such side effects involve toxicity. "Most of these side effects are short term and manageable, but the decision to accept more toxicity needs to be part of the discussion about how aggressive a patient wants us to be," Beyer says. As far as physician-patient discussions are concerned, full disclosure strikes many as the only acceptable approach, but there remain a few elements that a physician can address with more accuracy and greater awareness. One of these elements is patient selection. "While we know that brachytherapy works, we also know that it is not for everyone. Patient selection is important," Rodda says. "For example, you don't want to place a 90-year-old patient into brachytherapy. That's not worthwhile, for obvious reasons, even though we know that brachytherapy works." When it comes to prescribing brachytherapy, Rodda says the key factors driving the decision need to be a patient's age, baseline genitourinary function, and any comorbidities. "Those are the things that physicians need to know before they offer a patient brachytherapy," Rodda says.